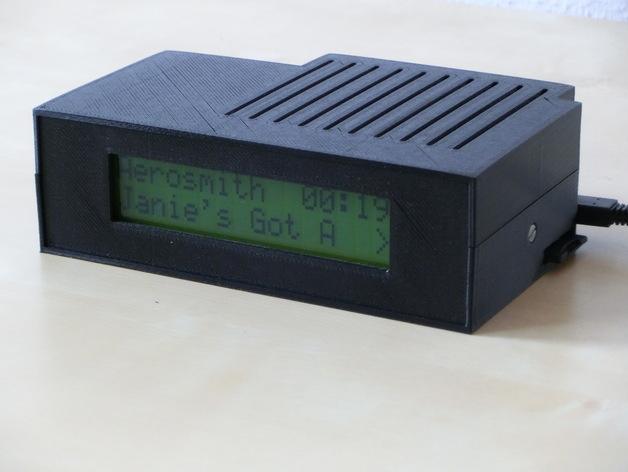 Raspberry Pi Music Player housing with LCD by Stargrove1 #3DPrinting #piday #raspberrypi @Raspberry_Pi « Adafruit Industries – Makers, hackers, artists, designers and engineers! 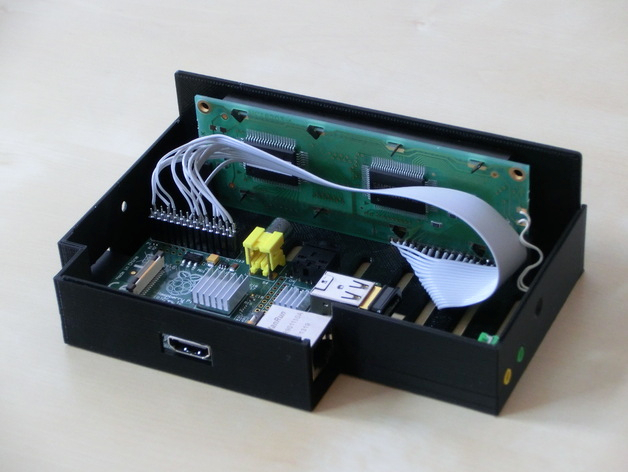 Housing for a Raspberry Pi with front LCD and USB soundcard. All relevant connectors are accessible except audio out and composite video. Running “volumio” as Media Player, MPDLCD controls the LCD (guide available from AndyPi), controlled by smartphone with MPDroid. 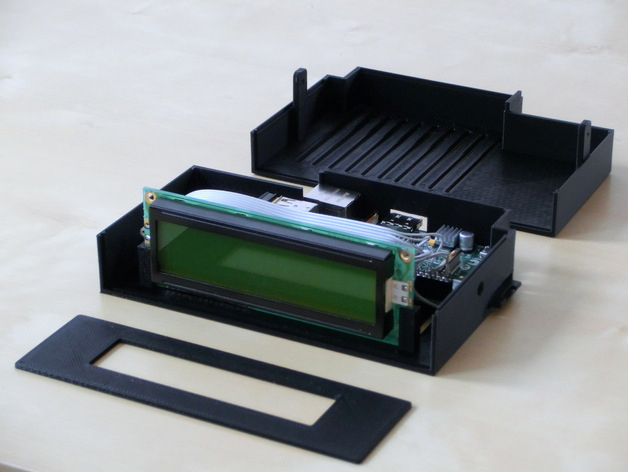 Print all parts, faceplate and bottom could be modified for use of different LCD. 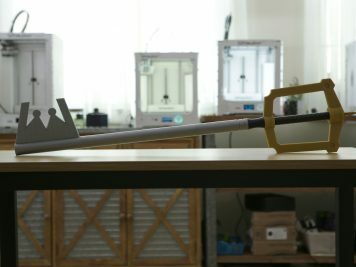 All parts were printed in PLA with a layerhight of 0.3 mm. Support for SD slot must be removed after printing. 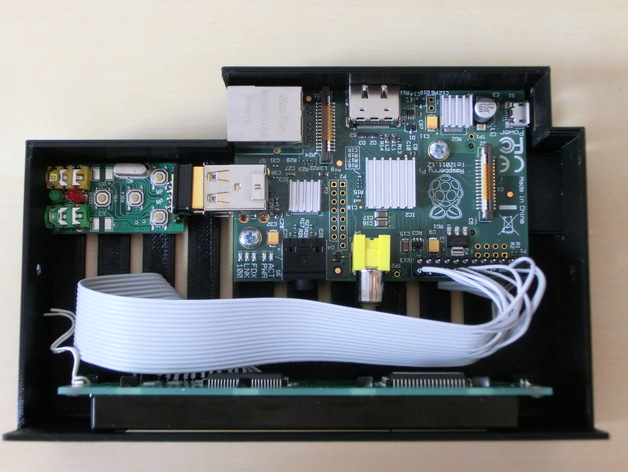 Soundcard must be disassambled to fit to the housing.